Here’s an article from National Geographic detailing several species of Squat Lobster that have just been discovered off the coast of Australia. 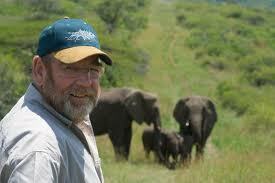 I always find it incredibly interesting that there still are so many species we have yet to identify! 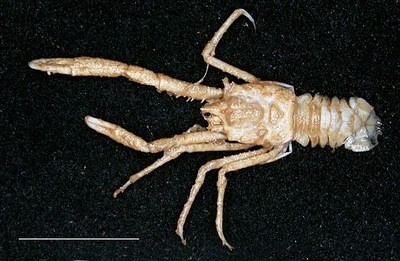 The tiny crustacean, which can fit in the palm of a hand, is one of ten lobster species collected off the western coast of Australia during research missions in 2005 and 2007. Six of the lobsters—including G. subspinosa—are new to Australia, researchers recently announced. Two more are entirely new to science. 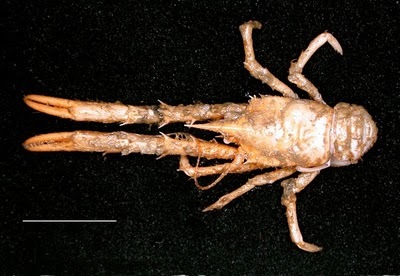 Hundreds of known species of squat lobster are found in oceans worldwide at depths ranging from six feet (two meters) to three miles (five kilometers). Squat lobsters, also known as squatties, are distinguished by their large front claws and compressed bodies. The creatures are more closely related to hermit crabs than true lobsters. 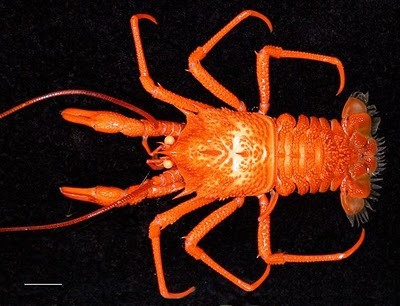 As for G. subspinosa, “this genus is one of the most colorful of all squat lobsters,” said marine scientist Joanne Taylorof Museum Victoria, who co-authored a paper describing the new lobsters published in the October 12 issue of the journal Zootaxa. Previously found in waters around Japan, Indonesia, Fiji, and Taiwan, the squat lobster Munidopsis andamanica is best known for the 2009 discovery that the creature feeds on logs and branches that have fallen to the ocean floor. Now known to live in Australian waters, too, M. andamanica seems to use its powerful teeth to grind up seafloor wood, producing enzymes in its stomach to digest the fibrous material. The squat lobster Munidopsis crenatirostris, pictured above, is another of the recently collected species that’s new to Australian waters, Taylor and colleagues report. The claws of squat lobsters vary significantly in terms of length, pincer size, and spininess, Taylor said via email—as M. crenatirostris shows. Few behavioral studies have been done on squat lobsters, but it’s known that many species hide in crevices and use their long claws to catch passing prey. 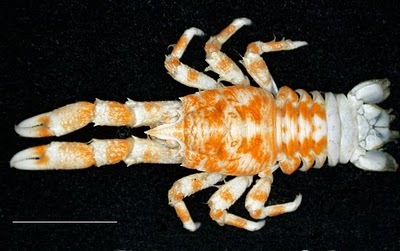 Although the squat lobster species Munidopsis kenselyi had previously been found in Australian waters, the new expeditions have extended the species’ range. 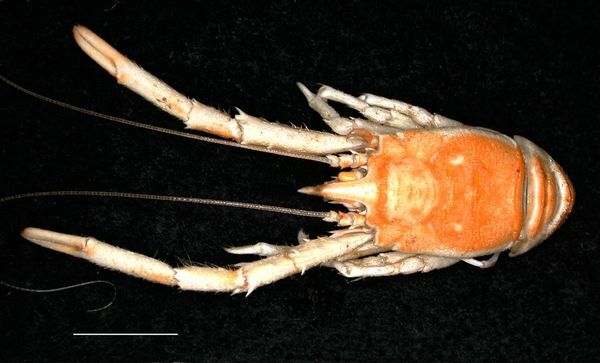 Found about 3,280 feet (1,000 meters) below the ocean’s surface off northwestern Australia, the pale squat lobster Munidopsis vesper is entirely new to science. PreviousAsian Golden Cat Saved from the Cooking Pot! What, did the Cymothoa exigua Get Your Tongue?